Someone once asked me what a makinilya is, and that’s when I realized how old I am compared to today’s teenagers. As we all know, it’s the Filipino word for a typewriter, a reliable writing machine now considered ancient–so much so that young folks don’t even know what it is called, let alone how to use it. This reminds me of other words that are familiar to my ears, but not for someone born in the year 2000 onwards. Remember, most of these young folks just came out of their mother’s womb while the rest of us were trying to survive puberty. 1. The use of “almirol” in washed clothes. 12. 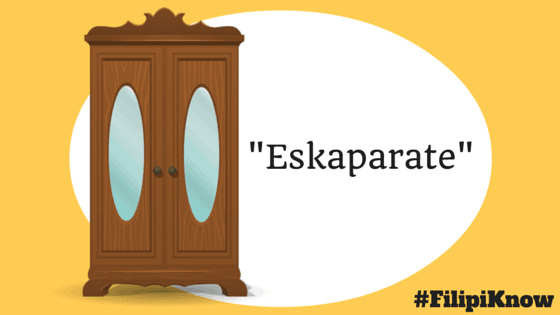 Spanish loanwords such as antemano, portamoneda, and eskaparate. Long before we started using fabric conditioners on clothes to make ironing a lot easier, Filipinos from long ago relied on their good ‘ol almirol. It refers to the cornstarch (gawgaw) used to stiffen clothes. Our moms and grandmas would usually mix the cornstarch with water, soak the clothes to the mixture, and let them dry. The process often results into clothes that are so stiff they can already stand on their own. 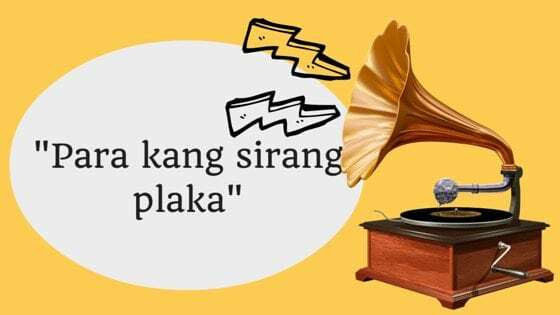 Throughout the 20th century, people enjoyed music by playing discs called records (or “plaka” in Filipino) on a device called phonograph/gramophone. You know you have a damaged disc when the same sound is repeated again and again, hence the expression. When you say nineteen kopong-kopong, you usually refer to an era–specifically the 1900s–that is so long ago nobody remembers it anymore. “Panahon ni Mahoma” has a similar meaning, but this time it identifies the person whom the expression was named after. 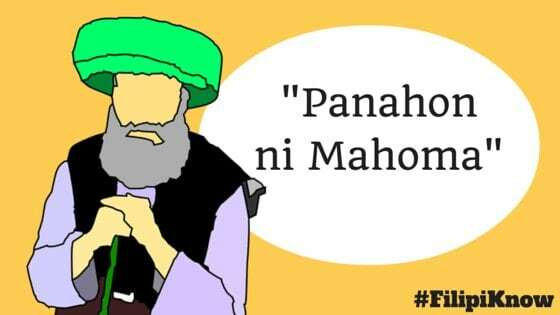 According to UP Diksiyonaryong Filipino, Mahoma is the Spanish name of Muhammad, a Muslim prophet who lived in the 6th century and has been regarded as the founder of Islam. Other elders prefer to use Limahong instead of Mahoma. The former is a reference to a 16th-century Chinese pirate who tried but failed to invade Manila. 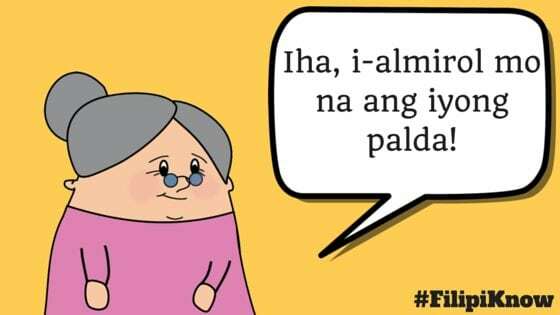 In other words, “panahon ni Limahong” also suggests a bygone era, and people use it in conversations to emphasize how outdated a thing or an idea is. When a guy is courting a girl the traditional Filipino way, you can say that he’s “naniningalang-pugad.” It brings us back to those days when Filipino houses had balconies where young Filipinas would watch as their male admirers serenade them with kundiman or love songs. Politicians engaged in a heated verbal exchange are said to be in “giyera patani” with each other. Old folks also use this expression when referring to two or more people who are having an argument. In case you haven’t seen one, a patani (or lima bean in English) is a pod vegetable containing up to 4 large colored seeds. These seeds are lightweight and won’t cause serious harm when used to hit a person. Therefore, when you say “giyera patani,” it only means that two or more people attack each other verbally but the fight is never serious enough to cause physical injury, or to involve dangerous weapons. 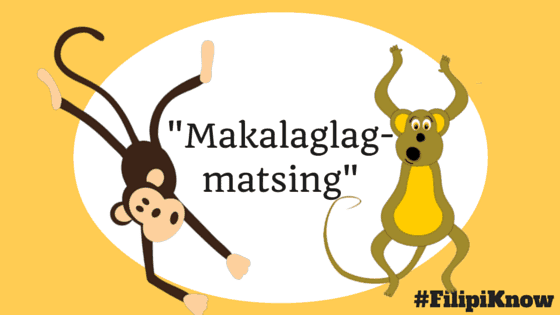 Filipinos have different terms of endearment for their friends: buddy, BFF, tropa, barkada, you name it. But when you describe the bond between you and another person as “sangggang dikit,” you consider him/her as your best friend. A person like this has stuck with you through thick and thin, and even joined you in doing the craziest of things. Hence, you consider this person your “better half”–but not in the romantic sense. If servants have a hierarchy, you’ll probably find alilang-kanin at the bottom. This is because alilang-kanin are servants that are not paid with money. They only work for food. This abusive treatment is usually experienced by orphans who end up working for their cruel relatives (think Cinderella). Literally translated as “poop in the head,” this Pinoy expression is a euphemism for a man who has been cheated by his wife or partner, but doesn’t know it yet. Worse, almost everybody knows about it (or can see the “poop” in his head, so to speak) except him. Consuelo de bobo (or “consolation for the idiot”) is a band-aid solution or a mock consolation given to those who have just suffered loss, rejection, or other hardships in life. And as the definition suggests, the benefits or relief a person gets from consuelo de bobo are anything but permanent. Think of the money handed out by politicians to poor communities or the prize given to runner-ups in a contest. These are just some of the words we borrowed from our Spanish colonizers and now often used by our older relatives. According to UP Diksiyonaryong Filipino, the word “antemano” means “sa una pa/noon pa” or “agad.” Both “portamoneda” and “eskaparate,” on the other hand, are alternative names for familiar things: the former is another word for wallet or bag, while the latter is an old term for a closet or aparador. This relatively obscure expression is used as an incantation by a person who found an item so that its original owner won’t cast bad spell on him. Its etymology doesn’t makes sense, but those who use the expression today usually translate it into “walang bawian” (or “no taking back”). People used to describe a boring movie as “walang kaistorya-istorya” which means it has no story at all. As time went by, it condensed into “walang katorya-torya” and now used to describe anything uninteresting–be it a movie, book, person, etc. When you call someone bulang-gugo, it means that he or she is generous or what most Filipinos call “galante.” It was probably named so because the gugo, or the native Filipino shampoo made from the bark of a tree, produces a lot of foam when soaked and rubbed in water. Egg yolk (pula ng itlog) is usually at the center, and where almost all the nutrients are concentrated (sort of like the human brain which serves as our ‘central switch’). Using the same logic, the Filipino expression basag ang pula (‘broken’ egg yolk) eventually became a euphemism for insane or crazy person. Also Read: Bakit kulay dilaw ang pula ng itlog? According to the book Malictionary by Ernie Zarate, this either means “madly in love” or a person who is in a “hurried frenzy” so much that he/she already acts like a headless chicken. Similar to “sanggang-dikit,” this Pinoy idiomatic expression refers to a friend whom we share intimate relationship with–so intimate that we no longer mind sharing a personal comb with him/her. You normally don’t allow someone to use your personal items (such as a comb) unless you trust that person. 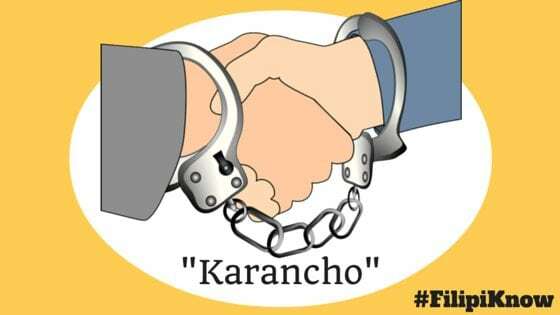 Long before karancho became a slang term for “buddy,” it was a prison jargon widely used by Filipino inmates. Almario, V. (2010). UP Diksiyonaryong Filipino (2nd ed.). Quezon City: UP Sentro ng Wikang Filipino-Diliman. Zarate, E. (2007). Malictionary 2 (pp. 61, 111, 114). Mandaluyong City: National Book Store. Zarate, E. (2009). Malictionary 3 (pp. 75, 83, 86, 87). Mandaluyong City: National Book Store.